Archer (aka 'Arch') is a Lagotto Romagnolo in training to be a trailing dog. True to his proud heritage he is also an expert truffle hunter but decided he would rather find people when he found out he was not allowed to eat the truffles he found. 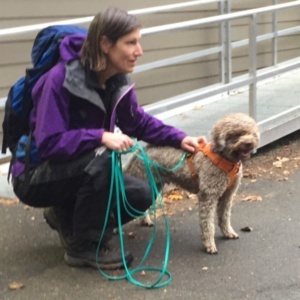 Danielle joined KCSD in 2018 and is also an experienced member of King County Explorer Search and Rescue.